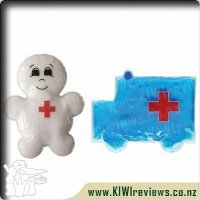 Our most popular stick - the Heal Me is so versatile you will want one of these everywhere you go. This is one multitasking little powerhouse that can be used on even the youngest family member safely. 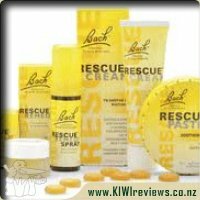 I have tried numerous anti-itch creams, many of which have been natural so was keen to give this one a go. I liked the look of the very clever no mess stick which could be popped into the bag and forgotten about until it was needed. My family suffer from skin sensitivity so we are really careful about which creams/lotions/potions we use. Finding one that can be used by all 4 of us is important as we don&apos;t want to be carting more than one tube around in the bottom of a bag. On receiving, this I was at first taken back by the size of the stick compared to the price. 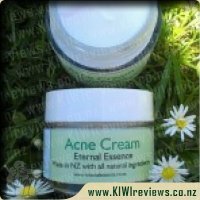 Compared to other natural products I felt that it was a little over priced. I did like the size of the stick however and like that it was an anti-itch and antibacterial in the same stick. I was keen to try this out, however wishing a mosquito bite on one of my family is not something I was keen to do as we all seem to swell and infect pretty quickly. I knew however the time would come when I could use it. 1st testing was on a graze that my son was complaining about - was hesitant at first but it took away his ache and reduced redness, 2nd testing was itchy eczema - stopped the itching and reduced inflammation. Then the mosquito bite arrived. I quickly grabbed and to my amazement the bite didn&apos;t even go very red and no infection set in. This is unheard of when this happens to my son. I have now used this on quite a few occasions with all great results. It is something that lasts a long time in the stick format (but I must remember to carry in my bag and not leave in a hot car). I am now keen try the insect repellent as have not yet found an effective natural repellent I can use on my 7 month old and having a handy size would mean I would always be prepared. The green look to the packaging indicates that it is a natural product and my initial impression was that I would love it. The ingredients are clearly listed and I was very pleased with the list of what is in the stick. The ingredients are very simple; Coco butter, organic coconut oil, bees wax, pure essential oil of tea tree. The items used in the stick are all well known natural ingredients for their antiseptic and antibacterial properties. The smell of the tea tree oil is very nice too. My kids were both very keen to try the stick on all of their ailments. Mr Four mentioned "it smells so nice". It is great to be able to use a product on my children that I know isn&apos;t harmful to their precious skin. The stick is a handy size to keep in a handbag or first aid kit. There is a twist bit at the bottom to allow a small amount of the stick to be exposed as required. My only concern with a stick product like this is that it is designed to rub directly onto the skin and could allow the spread of infections etc. If I used it on any suspect skin issues or on people other than my own family, I would be more likely to get a bit onto my finger and apply if from my finger to the skin. This would be easy enough to do and probably the sensible method of applying it. Both my son and I get eczema. I thought it was worth trying the product out on us. I have been going to a swimming pool lately and found that my skin has been flaring up as a result. One night, my skin was very itchy and I tried some of the "Heal Me twistick" and it relieved my skin so that I could go to sleep - so this was a huge plus. The next morning, it flared up again and this time, the Heal Me twistick didn&apos;t get rid of the itch this time and had to resort to some of my nasty old hydrocortisone cream. I really was hoping that this would continue to give me relief (even though it isn&apos;t marketed as a product for eczema). My husband suffers from regular infected hair follicles on his neck and scalp. We trialled the Heal Me twistick. He liked the ease of application and found the smell of the product pleasant. He wasn&apos;t able to give me an accurate opinion as to whether the product made each spot better. The reason for this is that he wasn&apos;t sure if one had disappeared overnight and another one popped up or if the original one was still there! It would be great if this can provide him some relief as he currently has to use antibiotic ointment and it would be much better to be able to use natural products on his skin. This will take further testing but I think it is worth the time and effort. My husband did get some relief from another skin condition he gets on his back. It was very itchy, I applied Heal Me to it and 24 hours later he is still noticing that he is much more comfortable than he was last night. I tried some of the product on my son&apos;s grazed knee yesterday. He was very excited that it might help it. His opinion changed when it started to sting, due to the tea tree oil in it. I will have to be a bit careful in future to make sure I only use it on the more minor grazes for him. I was hoping for one of our family to get a good dose of insect bites while I was reviewing the product. Unfortunately this didn&apos;t happen! I am glad that I will have it on hand to try out when the sandfly season comes. It will be kept safely in my hand bag ready for action. The funny thing is that even if the product doesn&apos;t work for all of the little ailments in our family, I still think it will be a winner, particularly to calm children&apos;s desire for something to be done. This comment isn&apos;t meant to imply that the product is simply a placebo. It is designed to say that I believe in the ingredients which are in the Heal Me twistick and feel that they are safe for my children. With this in mind, I would be happy to use it on my children, even if the minor ailment they were suffering from wouldn&apos;t be fixed with the Heal Me twistick as it has good ingredients which will be good for their skin anyway. From what I have experienced, every itch is different and I think it is one of these things that you just have to try and see if it works for you. As a mum I am always looking for new products to add to my bathroom cupboard to help keep my family healthy. 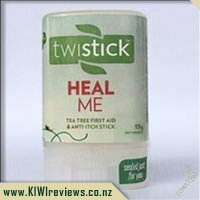 When I heard about the Twistick Heal Me I put my hand up to review it. It would replace several other products that I currently have and my girls (4 and 6 years) could apply it themselves without making a mess. My first thought when I saw it was why hadn&apos;t there been a product like this when I was a tramper. It would have been great to have something the size of a lipstick for all the little cuts and bites you get when you are enjoying nature. Too often I found these cuts would get infected because hygiene isn&apos;t great when tramping and if I did have a tube of first aid cream it had made a huge mess through my first aid kit due to being squashed in my pack. The twistick is applied just like a lipstick so much less mess. 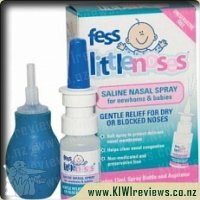 I had used this on every little pimple or scratch my kids or I have had lately. It has really worked to help heal the irritation. I most cases I was struggling to find the bite the next day. I thought this was a wonderful product and so compact for the toilet bag, bathroom cupboard or wherever. It was great to see the ingredients were all natural and we weren&apos;t putting nasty chemicals on our body. There was one exception to this and that was Miss 4&apos;s chicken pox. When the first spot appeared I thought it was just a bite but when it didn&apos;t go away and was instead joined by more spots I realised why the Twistick hadn&apos;t worked its magic. I am now reluctant to use the Twistick on anyone else, especially her big sister that hasn&apos;t had chicken pox yet, as I fear it will help spread the pox. For this reason I think the product is better suited to be used by and individual rather than the whole family but it is a fabulous product than I am glad I have handy. 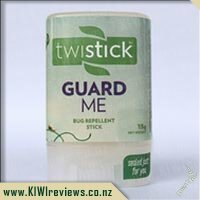 Essential for Camping - Guard me is a blend of pure therapeutic quality essential oils that are very effective at keeping biting insects away. No chemicals here, so safe for the whole family!